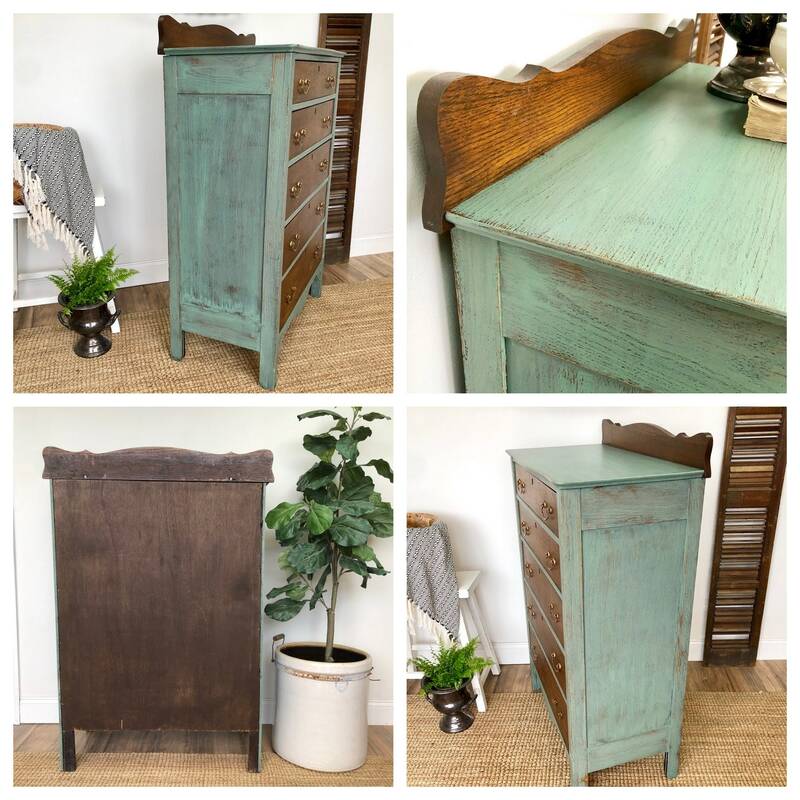 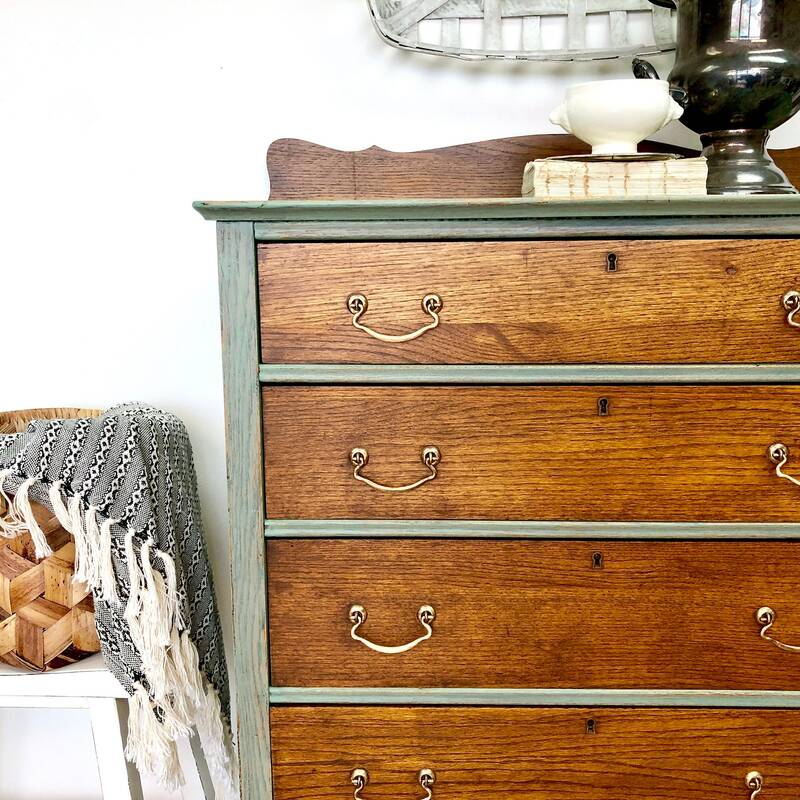 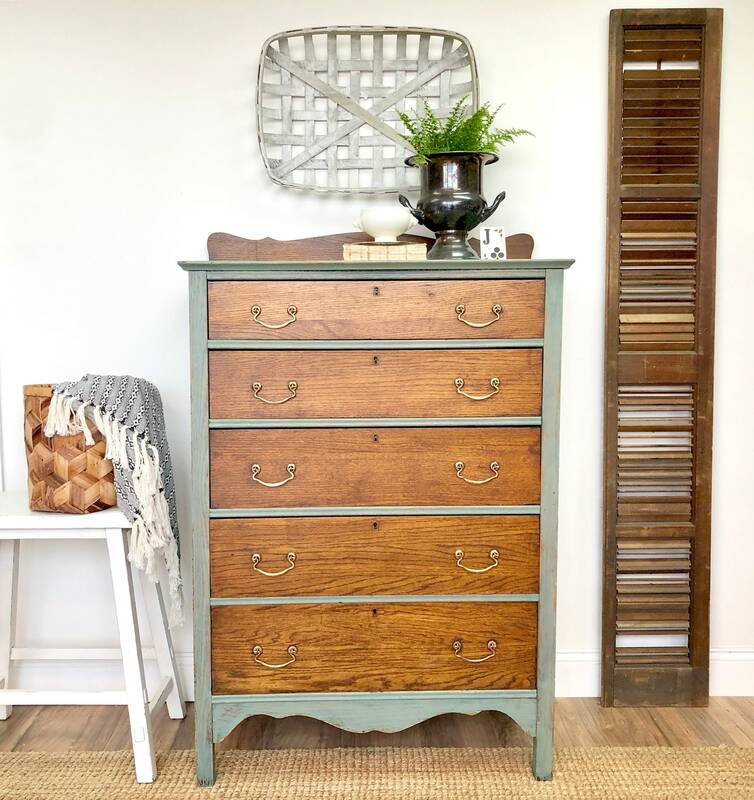 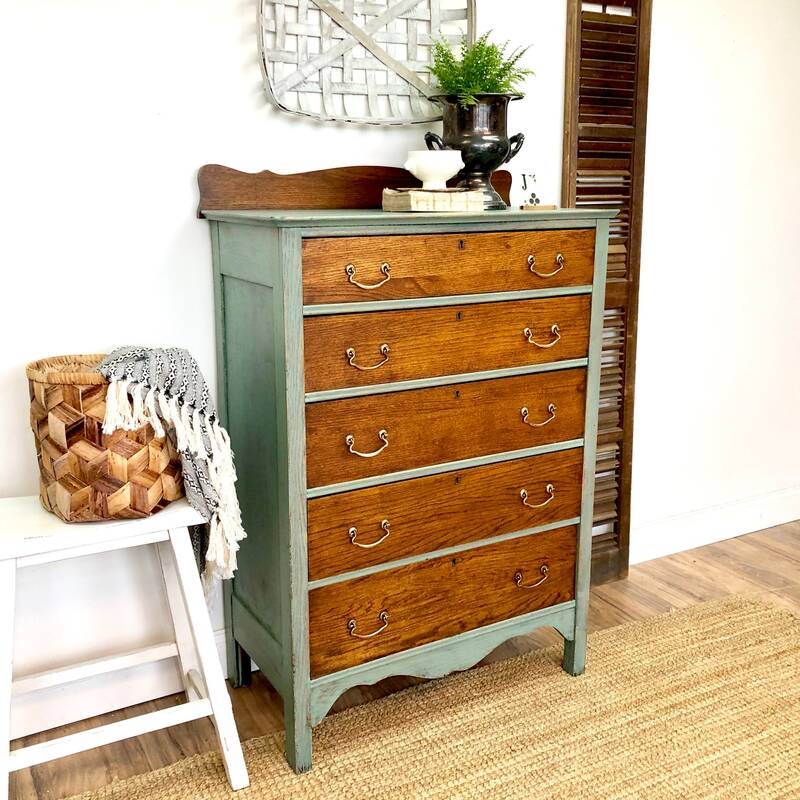 This rustic, antique tall dresser will enhance the appearance of any bedroom or space in your home. 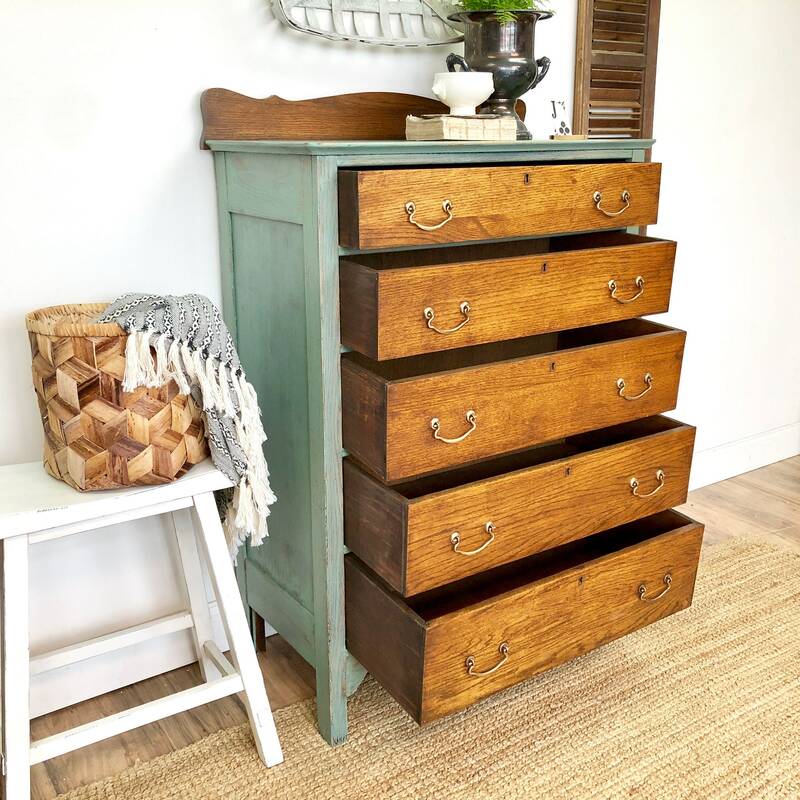 The five well functioning drawers provide ample storage for clothing or linens. 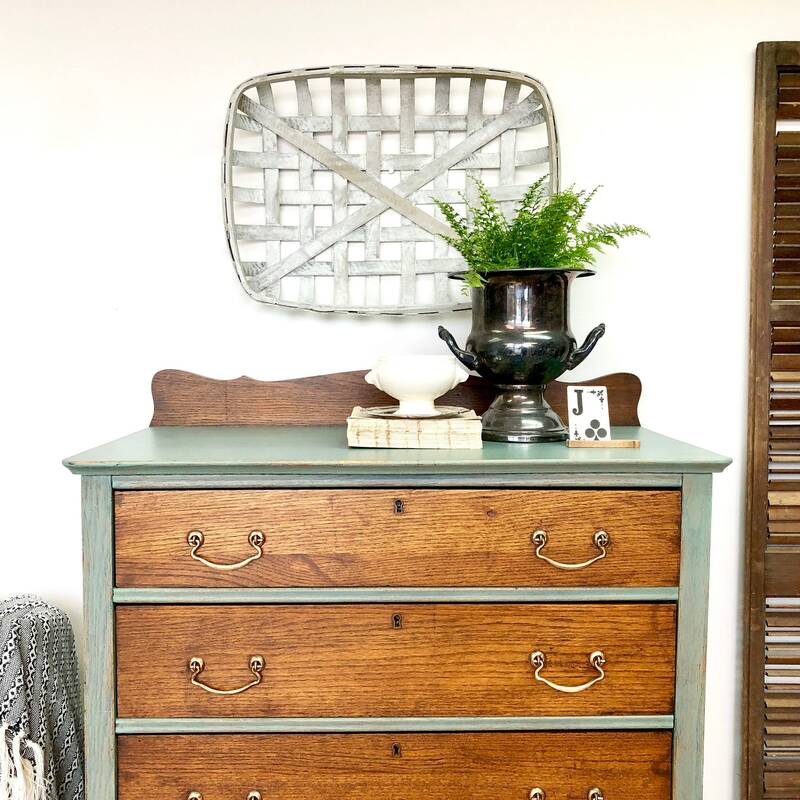 Place this piece in a bedroom, hallway or entryway to make a gorgeous statement. 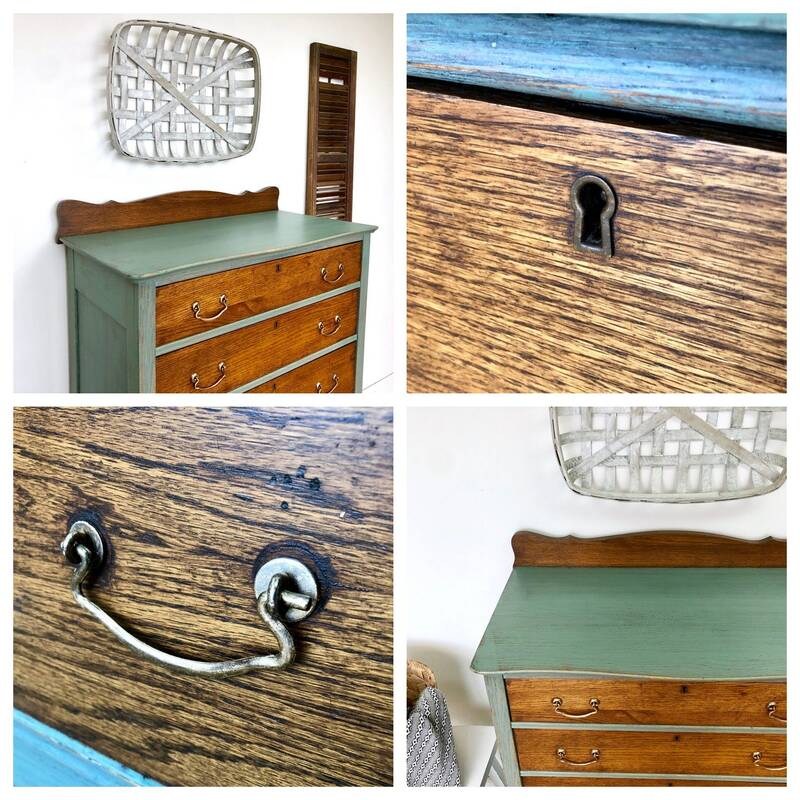 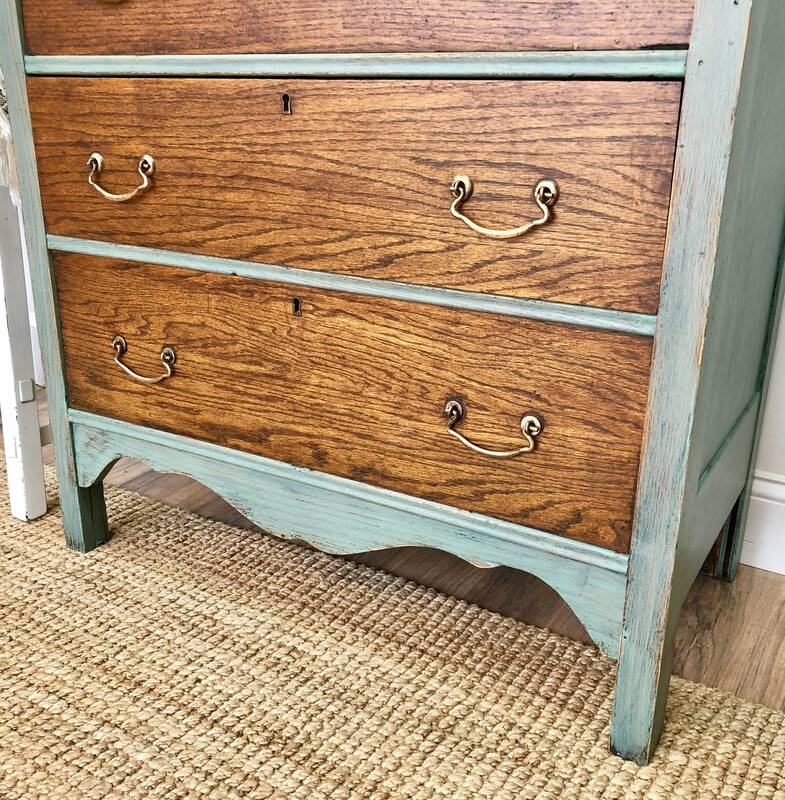 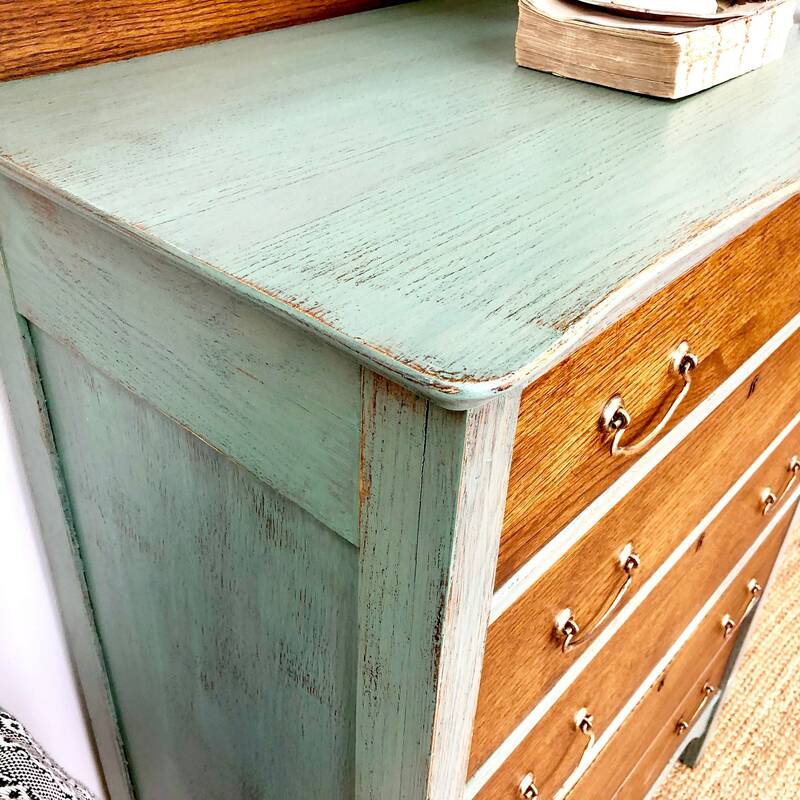 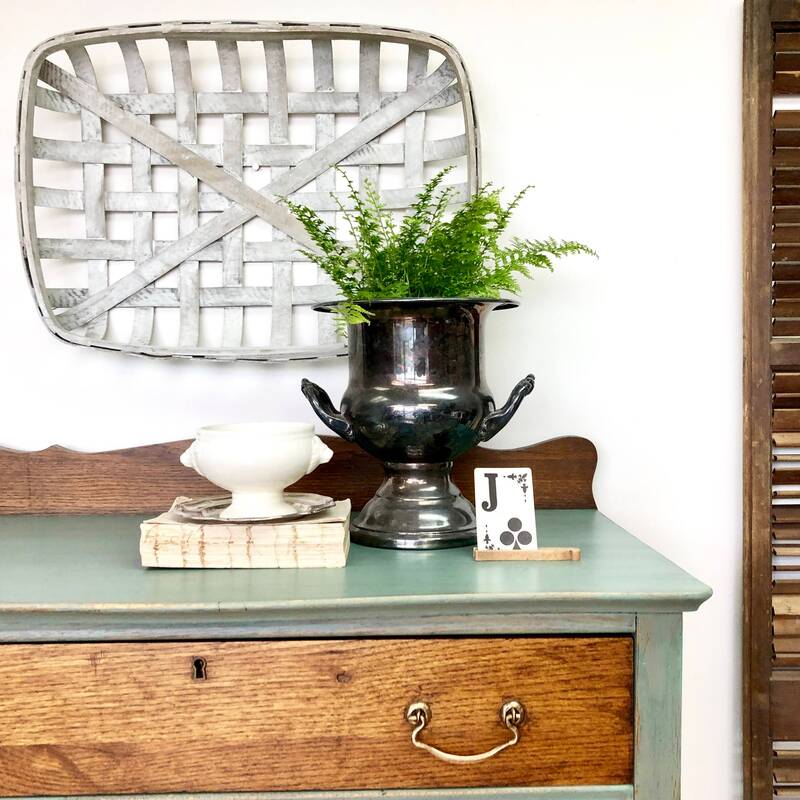 Painted in a custom mix of green milk paint and sealed with a matt top coat for easy maintenance.